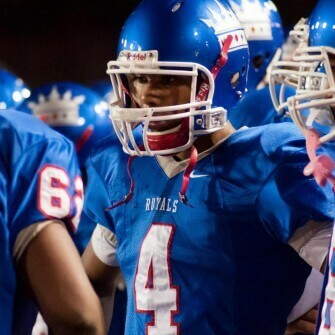 One of the top two-way players in the state of Washington this coming fall is expected to be Kent-Meridian QB/ATH Quincy Carter and the senior-to-be hopes to lead his team to the playoffs after working hard this offseason. For those that follow Washington prep football, Kent-Meridian always seems to have some talent on hand, but the problem is they have struggled on the field, but last season they were ever so close to finishing .500, going 4-6 as Carter helped lead the way by throwing for over 1,000 yards and rushed for over 1,000 as well. His completion percentage and interception to touchdown ratio, 3:13 are something he’s been working on a lot this offseason. Since finishing his junior campaign, Carter has been hearing from schools like Portland State, Eastern Washington, Washington State and Idaho and he attended or will attend several of their camps this summer. “I went to the [RDAF] Northwest College Showcase a couple of weeks ago and then I went to Washington’s Rising Stars camp, Washington State’s one-day camp and Portland State’s camp too,” Carter noted. “I’m going to Eastern’s camp and I’ll throw there for them too. With his outstanding athleticism to go along with his stout build (5’11”, 188) and good speed (4.5), Carter is a great looking prospect who just needs to get more film out and show the coaches what he can do. We expect him to be a hot commodity once schools get a chance to see him do his thing in person this fall and he could see a handful of offers before the end of his senior season.